It's two rounds of eighteen holes. 1st round from shorts. 2nd round from longs. 2nd round cards determined by 1st round scores. Playing for prizes by card in the 2nd round. 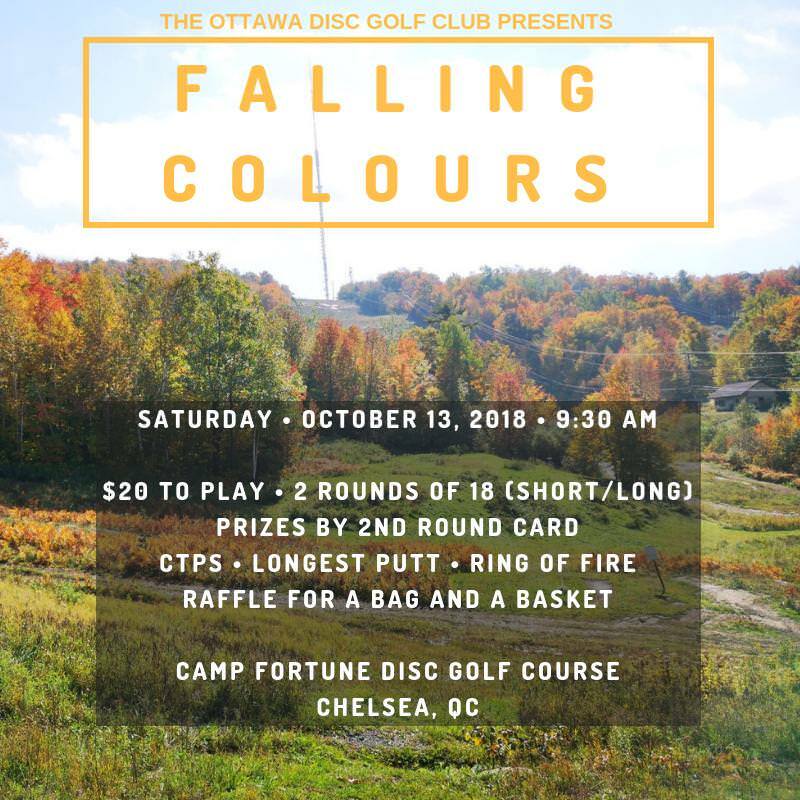 Additional CTPs/longest putt, ring of fire etc. 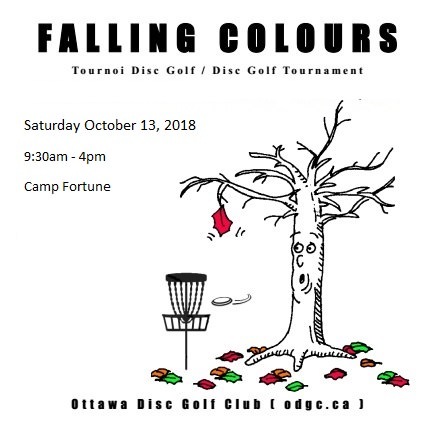 $3 of each registration goes to the club (ODGC). The remainder goes towards prizes. We will also have 2 draws, one for a portable basket, the other for a disc golf bag (compliments of Reggie McGrath). Registration at 09:30. Players meeting 09:45. Tournament usually finishes between 4pm and 5pm. Note round 2 starts 30 minutes after when the last card from round 1 is finished. This does not allow time to go to town for lunch so best bring one. Saturday weather is looking good. Lots of good discs available for prizes. After handing out the prizes, all left over discs are for sale. Most of the long grass appears to have been cut ! Colours will be awesome ! Two draw prizes have been included (photos in 1st post). Portable basket is a Canadian Tire special. Not tournament quality but better than nothing. 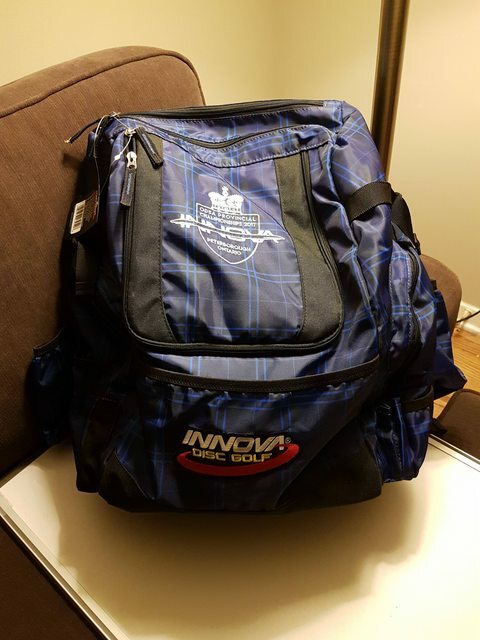 The disc golf bag was donated by Reggie McGrath via Andrew Vallee (was to be a prize at the Plaid). Thanks. I'm in. Also, a heads up: CF is hosting both a wedding and their fall fest on saturday. The hill will be busy and parking very limited. DO NOT PARK IN THE UPPER PARKING LOT BY THE MAIN LODGE. also, Stefan Dobrev is IN. Chris and I are in. I should be there too. Working out the details now. 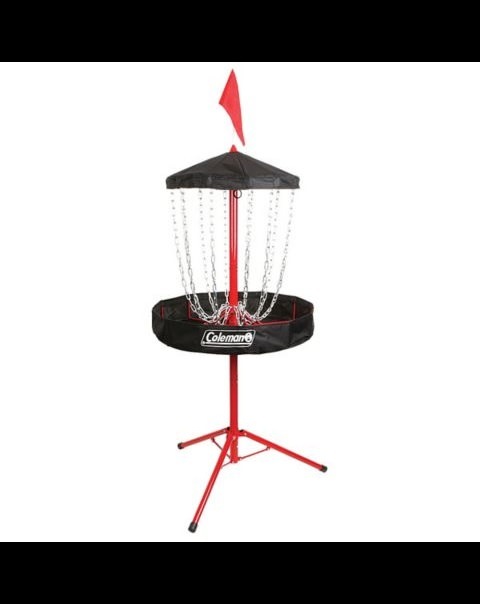 We will also have 2 draws, one for a portable basket, the other for a disc golf bag (compliments of Reggie McGrath). Mr Atos is arriving with the bag, I will unfortunately have to miss this one. Enjoy the fall colours everyone! I would be in if I could... have fun everyone! Better quality photos are on the FB page, but here's the champ! Beautiful Day. Thanks to everyone who came out. 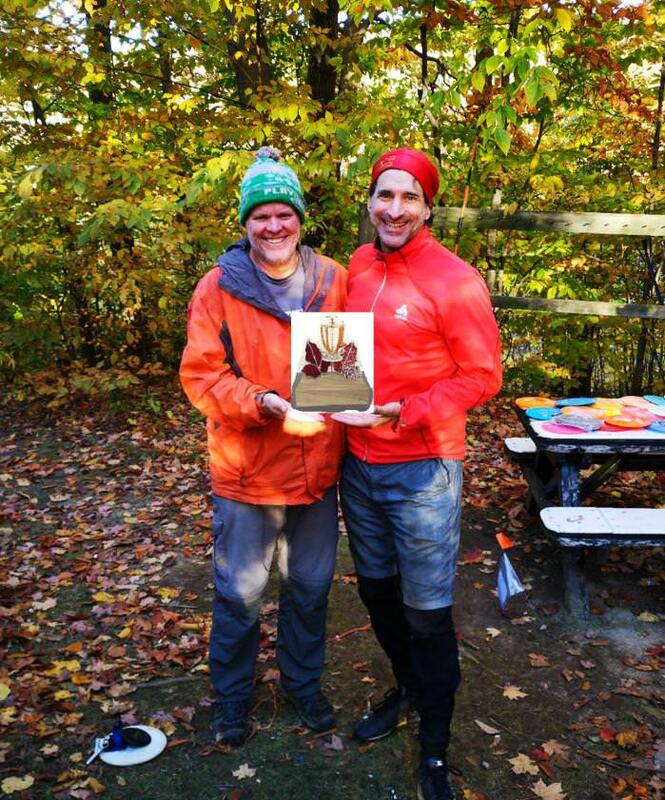 Congratulations to Ken Darcovich, our 2018 Falling Colours Winner. Great event as usual, thanks Mike.